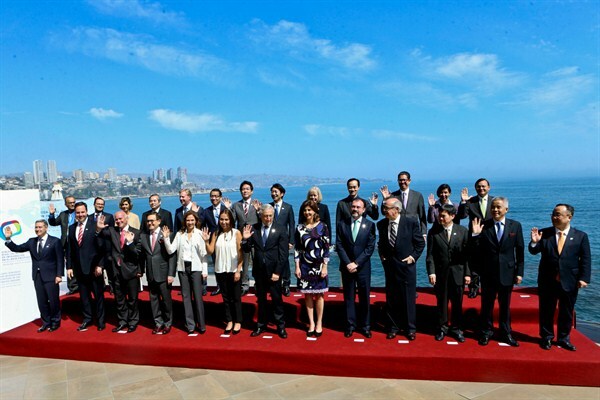 Representatives from member countries of the Trans-Pacific Partnership met to discuss a possible new regional trade deal, Vina del Mar, Chile, March 15, 2017 (AP photo by Esteban Felix). While much about U.S. President Donald Trump’s trade policy remains uncertain, his official 2017 “trade policy agenda,” released on March 1, clearly stated the preference for bilateral over multilateral negotiations. Echoing what he said during the election campaign, the trade agenda also emphasized national sovereignty and the enforcement of U.S. trade laws. Trump’s focus on bilateralism, however, comes with real costs. Bilateral negotiations are time-consuming and entail significant negotiating resources. Even when “successful” in narrow market access terms, firms can incur significant transaction costs from having to navigate the resulting tangle of inconsistent or conflicting rules.